You can struggle for years to get a foot in the door with Hollywood producers--or you can take a page from the book that offers proven advice from twenty-one of the industry's best and brightest! 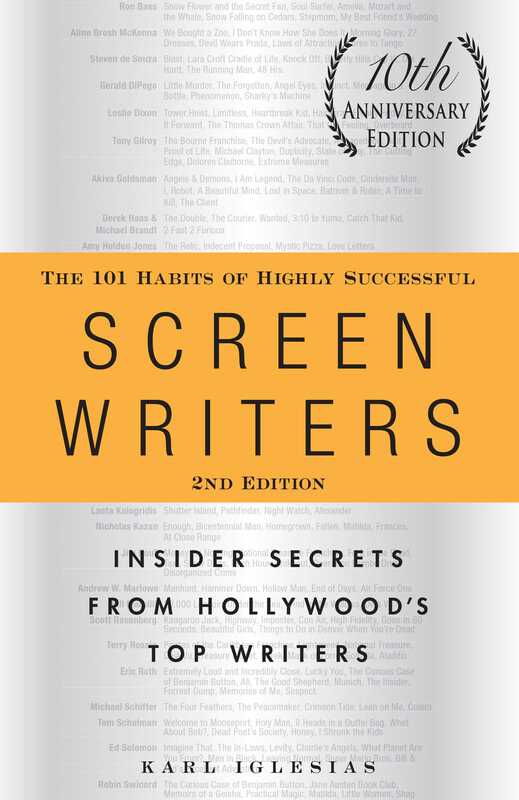 In this tenth anniversary edition, The 101 Habits of Highly Successful Screenwriters, 2nd Edition peers into the lives and workspaces of screenwriting greats--including Terry Rossio (the Pirates of the Caribbean franchise), Aline Brosh McKenna (Morning Glory), Bill Marsilii (Deja Vu), Derek Haas and Michael Brandt (Wanted), and Tony Gilroy (the Bourne franchise). This indispensable handbook will help you hone your craft by living, breathing, and scripting the life you want!